A prospective net neutrality bill in the California state legislature would ban payments for the type of data cap exemptions that carriers like AT&T and Verizon have imposed on its internet customers. The state’s lawmakers are taking an aggressive stance for the sake of consumers and staring down the Trump administration’s recent rollback of the free and open internet -- one that users have known since 2015 when the Federal Communications Commission (FCC) ruled in favor of net neutrality and the law went into effect. When the FCC originally created its principles of “network neutrality,” the agency said the move was meant to “preserve the vibrant and competitive free market that presently exists for the Internet” and “to promote the continued development of the Internet." The FCC’s move at the time piggybacked Congress’ feeling that the internet had educational and informational importance and that it represented “a forum for a true diversity of political discourse, unique opportunities for cultural development, and myriad avenues for intellectual activity." Lawmakers also said that net neutrality played “an important role in the economy, as an engine for productivity growth and cost savings." “An open Internet is essential to maintaining our democracy, growing our economy, protecting consumers, and preserving critical health, safety, and energy services,” Senator Wiener said in a blog post on Wednesday. Specifically targeted in the bill is something called “zero-rating,” a method of providing internet access without any costs under certain conditions, such as by only permitting access to certain websites or by subsidizing a company’s internet service with advertising. For example, an internet provider might choose to “zero-rate” its own services in order to gain a competitive advantage. A case-in-point was what Comcast did with its “Stream TV” on-demand video service. If a customer watched shows via that service, it wasn’t counted towards Comcast’s data caps, but content from competitors like Netflix did. Other programs like T-Mobile's BingeOn and Music Freedom allowed users to stream unlimited amounts of audio and video from select services, although it slowed down a user’s video connection if they used BingeOn. While there was no built-in ban on zero-rating, the fact that the provider offered a way to opt-out prevented it from violating the no-throttling rule. When a customer opted-out, the audio/video would stream at full quality, but it would count against the user’s data cap. Zero-rating has been a thorn in the side of Congress, the consumer, and thousands of small ISPs for a while, and it is thought to be one of the sticking points in the Comcast-AT&T merger. In the situation of small ISPs that were bringing broadband to underserved rural areas, the argument was that since those providers didn’t own the content, it lacked the muscle to negotiate fair, reasonable, and non-discriminatory access to content. Senator Wiener’s California-directed proposal comes less than a week after a federal judicial panel decided to give the Federal Communications Commission’s (FCC) repeal of net neutrality an appeals hearing. 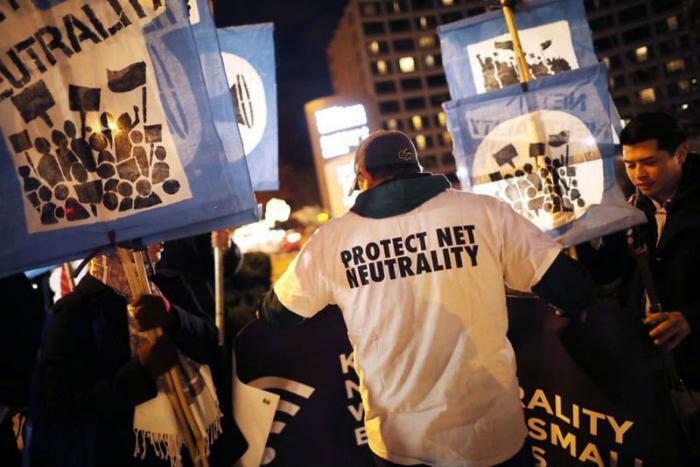 Last week, Washington became the first state to pass a net neutrality law, one identical in scope to the proposed California law.